Always terrible with his sense of direction, comedian Tirumari Jothi takes the K instead of the M, and suddenly finds himself at Balboa Park station at 1 a.m. A conversation with a stranger helps him find his way back home to Park Merced, but not before the chat involved topics he never thought he’d hear. 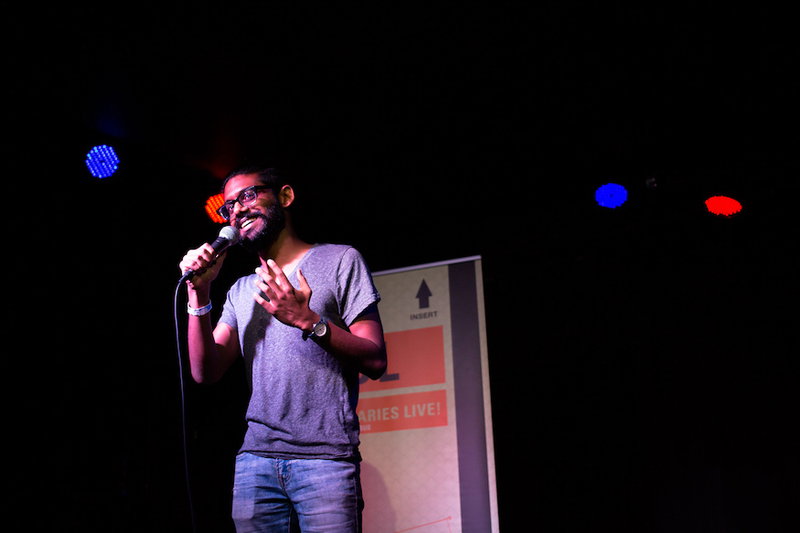 Tirumari has been performing comedy for six years, with stand-up as his first love, but he also loves improv and sketch acting . You can find him either performing with the geeky comedy group he co-founded, Komedio Comedy, or acting on stage with Killing My Lobster (find him at Sketchfest 2018). You can find him on Twitter @tirumari. Would love for you to embed the audio on your website 🙂 I love Tirumari and want to hear the episode, but your link only goes to the iTunes page with all of your episodes. Can’t tell which has him.